Spread love everywhere you go wearing the Vivienne Westwood® Love Medal Earrings. Gold-tone earrings with crystal accents. Cascading "Love" design with iconic, orb detail. 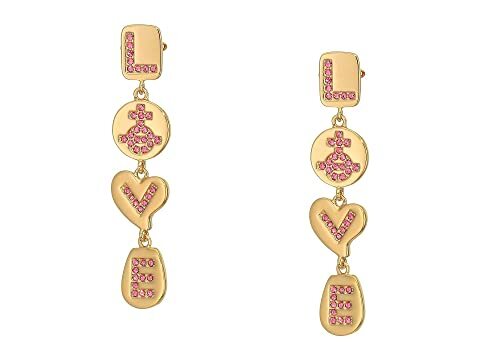 We can't currently find any similar items for the Love Medal Earrings by Vivienne Westwood. Sorry!